If you are preparing to list your house for sale, you may be wondering if the financial reward will be worth the time, effort and money to fix up things that are in disrepair or that are dated. The answer to that question depends on a myriad of circumstances such as the current real estate market, the condition of competing inventory and whether the renovations that need to be made generally provide a return on investment. Some home buyers are looking to purchase a “fixer upper”. They are looking for properties priced to sell, perhaps because they don’t qualify for more expensive homes or maybe because they want to make a profit by fixing the home up themselves. 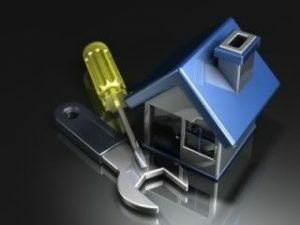 Most “fixer” buyers want to do simple repairs such as painting walls, replacing light fixtures and putting in new carpet. Only a few want to take a house down to the studs and completely redo it. These potential buyers will want a price for the home that will allow for all the repairs, the inconvenience of doing the work, and often a bit more. For example, if a home is worth $200,000 fixed up but needs a new roof, and the roof costs approximately $10,000, a buyer most likely will not offer $190,000 for this home. The reason is that they can probably find a similar house that already has a new roof for $200,000 and save themselves the headache of replacing it themselves. A buyer in this situation might offer $175,000 or less, in which case it would make more sense for the seller to replace the roof and sell it for $200,000. Patch all holes and cracks in walls and ceilings. Fix all appliances and HVAC systems. Repaint dark or marred walls in neutral colors (not white). Change dated light fixtures/ceiling fans. If your real estate market is a sellers’ market and homes are moving quickly, you can get by with fewer fix ups, however a home that needs repairs will still deliver a lower price. If it’s a buyers’ market, people might not even be willing to look at homes that need repairs. A professional Realtor like Mike Manosky can help you understand what the current market is like in Huntsville right now; and assist you in determining what home renovations will help you get the best price when you sell! If you are thinking of buying or selling a home in the Huntsville area, let professional Realtor Mike Manosky help you with all your real estate needs! Give him a call today at 256-508-0211!